To create peaceful, serene and spiritual environments. To inspire all persons to vibrant health and healing through education and service. Body Fundamentals is a boutique Pilates and Movement studio located in the Catalina Foothills of Tucson, Arizona. * Founded in Denver by Geneviève Nedder in 1996, the studio offers one-on-one, semi-private, and quartet Pilates equipment sessions in a peaceful, encouraging, exclusive setting. Beginner to advanced and instructor level sessions are ongoing. Please contact the studio to schedule your initial session. "I have been coming to Body Fundamentals for over fifteen years and I have never had the same lesson twice. Geneviève has enormous range in her teaching and can go deeper and broader across all the levels of exercises and styles in her Pilates repertoire.” — Kirk E.
Our certified teachers offer comprehensive instruction on all of the Pilates equipment; including: Reformers, Cadillac, Spine Corrector, Ladder Barrel, Ped-i-pull, Low Chair and Wunda Chair. We also incorporate complementary equipment using Jump Boards, Back Machine, Foam Rollers, Physio Balls, Resistance Tubing and Hand weights to expand your fitness training. Workshops, seminars and retreats focusing on Postural correction, Balance, Stability and Core Strength are offered throughout the year. Perfect Health Ayurveda is offered as a weekend retreat or as a 5 to 6 week re-set. All workshops and seminars are offered in-studio, or delivered off-site at your business or wellness center. 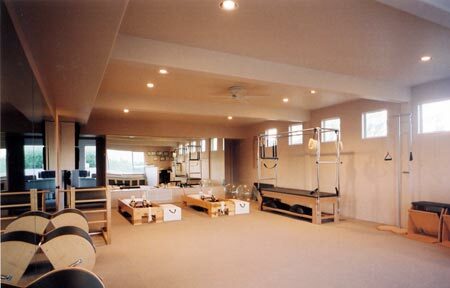 Geneviève’s Pilates and Movement sessions and specialty workshops are rooted in over 26 years of experience. Sessions feature carefully crafted progressions designed to optimize results. Each student can expect professional support and coaching throughout.